Present state: The cutting was infilled in 1969/70 and the station is either demolished or buried. No evidence remains. The stationmaster's house remains in privaye occupation on the south side of Station Road between the Great Central and the Midland spur. Notes: The railways first came to Pilsley to transport coal from a number of collieries in the vicinity. The station was a short distance to the South of Pilsley Colliery which had extensive sidings on both sides of the Great Central main line. A spur left the main line just north of the station running past the station to a junction with the Midland Railway. siding remained in use for some years after closure. 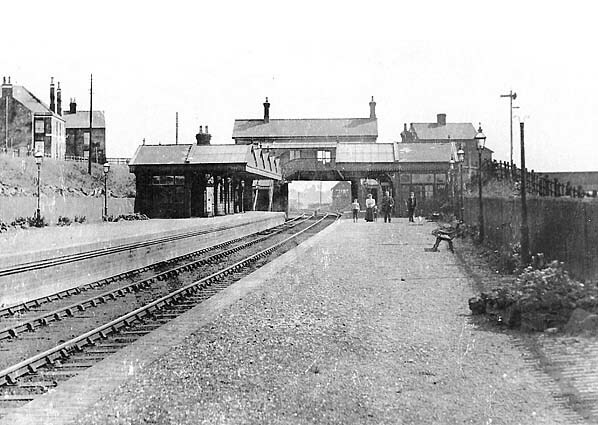 The station was provided with brick and timber buildings on both platforms with substantial canopies stretching almost to the platform edge, these were later reduced in width. A brick and timber booking hall was built on the bridge overlooking the station opening onto a covered footbridge down onto both platforms. 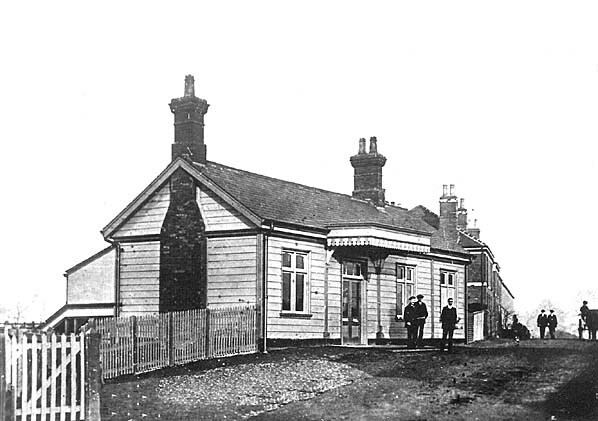 The goods station and signalbox sited on the south side of Station Road on the 'up' side of the line and included four sidings. 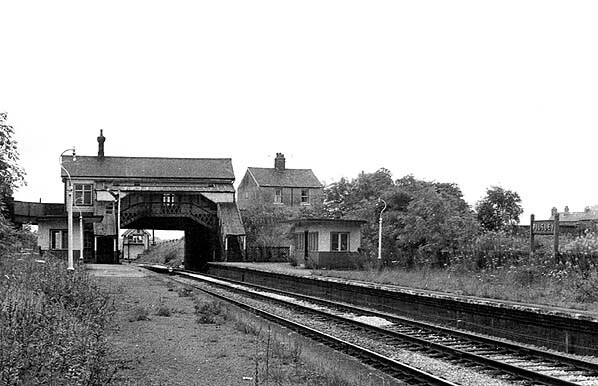 The platform buildings were demolished in the 1950's and were replaced by two small waiting shelters. The site of the colliery and station were cleared by Derbyshire County Council in 1969/70 as part of a land reclamation scgheme. Today the Five Pits Trail runs through the site of Pilsley Station. 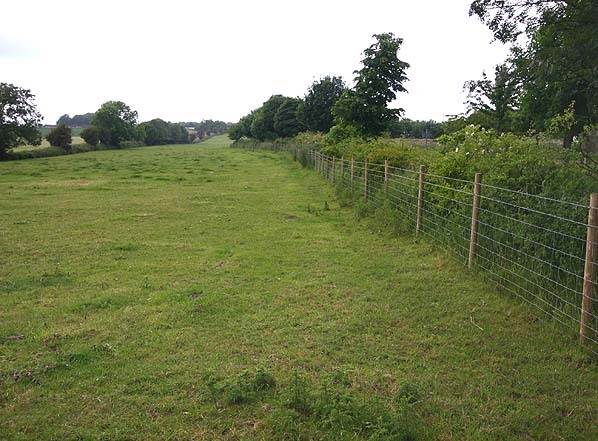 The Trail provides an off-road surfaced route for walkers, cyclists and horse riders. It is a 5½ mile linear route from Grassmoor Country Park to Tibshelf Ponds running for much of it's length along the course of the Great Central Railway. There is a public car park no the north of the station. Selected further reading: Great Central Memories by John MC Healey published 1987 by Baton Transport ISBN 0 85936 193 4 - heavily illustrated history of the London Extension. Great Central Then and Now by Mac Hawkins - published (2nd edition) by BCA 1992 ISBN 0 7153 9326 X , station by station photographic survey of the Great Central between Sheffield and London with numerous 'then and now' photographs. See also Sheepbridge & Brimington Station and construction of the Manchester, Sheffield and Lincolnshire Railway through Brimington by Philip Cousins. Published in St. Michael & All Saints, Brimington parish magazine. (Click here for full text). All tickets from Michael Stewart except 018 Glynn Waite. The site of Pilsley Station looking north in June 2008. The Five pits trail is to the right of the fence.